With a health care background of 15 years, working in senior care environments including long-term care, private homes and agencies, Kathy is currently a member of Arista’s staff preparing healthy meals to serve to clients. Her experience includes 2 years in the dietary department of a long-term care facility, and because she loves to eat, she loves to cook. 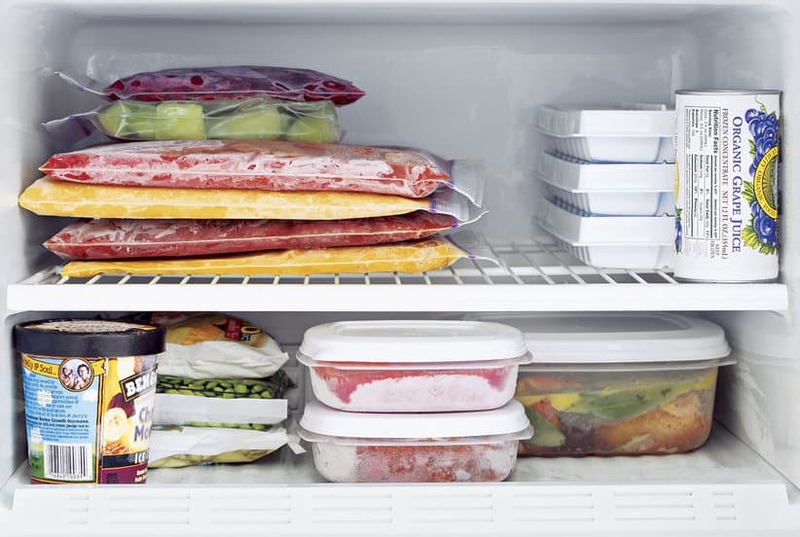 Freezing food is a good way to save ingredients and leftovers for future use. However, sometimes food goes bad in the freezer and it can be dangerous to ingest. These guidelines will help make sure you’ll be able to make the most of all your food. A food’s odor is a telltale sign, indicating whether it’s still usable. If your food has a rancid or strange smell, throw it away, as this means it has spoiled. Some foods may not look appetizing after you store it in a freezer; it may change in both flavor and texture. Freeze-burned food is generally safe to eat, but a careful examination is always best. If your frozen food has lost some of its luster, you can eat it, but you may find better results using it in soups or stews instead. When foods have been left in the freezer for long periods, it can be easy to lose track of the types of food inside. Frequently reviewing the ingredients in your freezer will help you remember what you have, so you can plan your meals better. Label accurately with date opened, contents and your initials; remember to rotate the contents of your freezer, moving the older items toward the front. Different foods have different shelf lives, especially in a freezer. Here is a list of how long you can keep ingredients in the freezer before throwing it away. Keeping track of the food in your freezer and remembering how long you can keep it before it goes bad means you’ll become an expert in freezing ingredients and be able to comfortably enjoy your meals whenever you’re ready to eat them.